Gilbert “Bud” Budwig was born November 17, 1895. 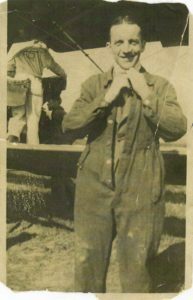 Over the course of his life, Mr. Budwig worked extensively in aviation. Following his careers in piloting and flight instruction, Gilbert and his wife Irma founded Budwig Company as a creative outlet during their retirement. The business began in a 1,100 square foot shop adjacent to their home in Ramona, CA. Bud was a member of THE OLD, OLD TIMERS CLUB that was founded in 1947 by a group of amateurs who had played a part in laying the foundations of electronic communications. The requirement for membership was 2-way communication by wireless 40 or more years prior to 1947. At that time the members were “spark” operators in 1907 or earlier when there was no licensing authority. The requirements have continued to this day – two-way wireless communication by amateur, military or commericial means 70 or more years ago. Bud is recorded as being one of the early Amateur Radio Operators. His last call was K6LQ, his first was 8NL. 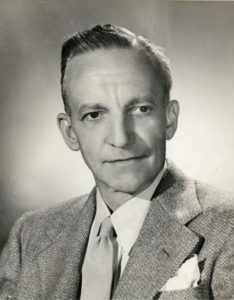 Bud’s interest in early electronic communications was the catalyst for the development and production of the Budwig HQ-1 Antenna Center Connector and the HQ-2 Antenna Insulator. In 1977, Gary and Lee Cochran began working for Bud part-time after he became ill. However as Gilbert’s condition deteriorated, they agreed on terms to purchase the business and were processing the changeover when Bud died on February 2, 1978 at the age of 82. Officially, Gary and Lee took ownership of the company on February 1, 1978. Shortly after Bud’s passing, Irma Budwig moved to Mattoon, Illinois to live with her family. Limited information is available in regards to the early history of the business. However since the first sales records date back to 1965, it’s used as the company’s founding year. Today, the business continues to operate in San Diego, CA. Detailed accounts of Mr. Budwig are available here.